Get to know your Skin Care Estheticians serving Plano and try our signature “face changing” LED Glow Facial for $125 for First Time Clients – Regular $310. Great for Acne, Large Pores, Wrinkles, Age Spots, Flaccid, loose skin. And the extra benefit is, our Clinical Strength LED light treatments which are great for your brain too! Hello, my name is Vicki and I began my research on LED lights for skin back in 2005. Initially I focused on Wrinkles, Age Spots, and Large Pores for me, a former sun tanning-sun worshiper, aging Baby Boomer born in the 1950’s. Of course I was concerned about aging, but quickly discovered how fast and effective LED is on acne, acne scars, remodeling the skin with the side effect of firmer, tighter, wrinkle free skin – oh darn! From years of research and working with Dr. Glen Calderhead to fine tune and perfect out treatments and protocols we only offer science based and validated researched products and services. Like you I am a consumer. If you are going to spend your time and money with anyone you want results right? Me too! So I won’t waste your time on hype and marketing. Know that we are changing your skin for the better, we say, “Real Results from the Inside Out” without downtime or side effects. 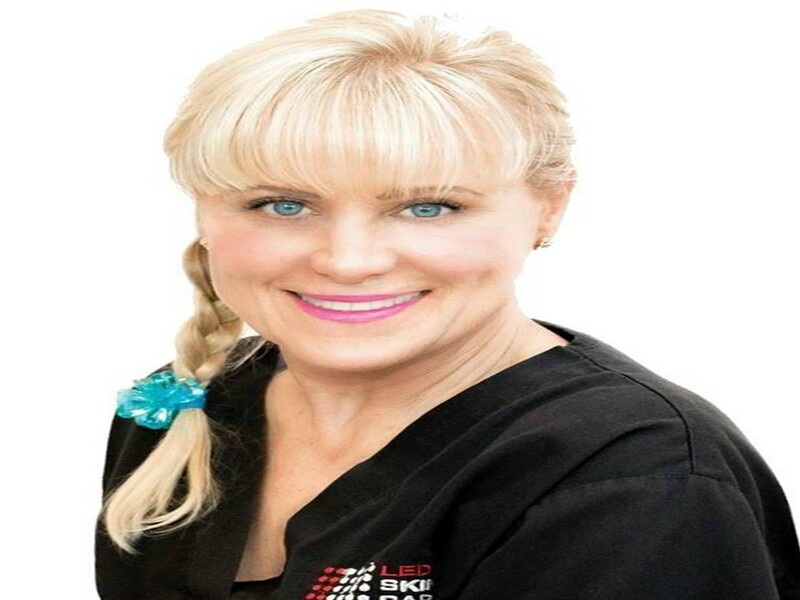 We have changed so many young and older lives with our protocols for acne and aging skin that I truly feel I am changing people’s destiny and outlook on life. Why, because We restore confidence in people. Acne, Balding and Aging issues are all things we hate to deal with. These appearance stealers can change the way we feel about ourselves. Begin you journey today for real change. Call for your free consultation and let’s get you social again! LED Skin Care Spa is “Light years ahead of the rest”.